After years of extensive research Baidyanath has prepared this proprietary medicine for the treatment of intestinal amoebiasis. 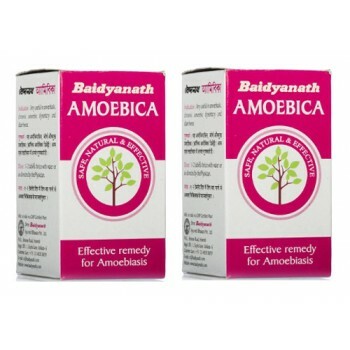 it helps to control acute and chronic diarrhoea and haemorraghic dysentery. This drug is much safer than its modern counterparts. 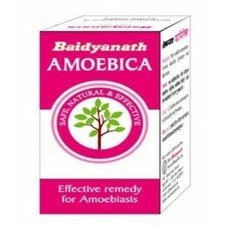 Himalaya Herbals - Bael 60 Tablets Bael or Bilva's fruit is used since ancient time for the tre..
Himalaya Herbals - Diarex 30 Tablets The antibacterial and astringent actions of Diarex regula..
Maharishi Ayurveda - Ambimap 100 Tablets A special combination of Ayurvedic herbs for the tr..